Following a life changing medical or traumatic event, one of the first things the patient thinks about is when he/she will be able to return to driving. For the patient with a spinal cord injury, amputation, or brain injury, countless hours are spent re-learning activities of daily living before this is even considered. For the elderly or individual with a debilitating illness, the intense focus on maintaining health supersedes the focus on driving. For the developmentally disabled, this is often not even considered. Individuals are often left with a feeling of a loss of independence or as if they are a burden to their families. As driving is a complex skill involving a combination of physical, visual, and cognitive skills, it should not be taken lightly. The safety of the individual, as well as others on the road must be considered; therefore, selecting an expert to handle this process is critical. What factors should be considered when making critical decisions about driving? Functional Status – Will physical, cognitive, visual, or psychological limitations impact the individual’s ability to drive? Can these problems be overcome with adaptations or training? Vehicle – Is there a vehicle to be adapted, or will a new purchase be required if driving is feasible? Financial Issues – Because driving evaluations and adaptations are rarely covered through health insurance, are there funds to pay for these services? Options might include trust money, settlement funds, No Fault coverage in certain states, vocational rehabilitation services, veteran services, or private funds. Timing – Will the individual improve over time, and when should this be addressed? Choosing an expert – A Certified Driving Rehabilitation Specialist (CDRS) is trained to complete an evaluation of this type. There are only 351 people with this credential nationwide. The CDRS should be familiar with the laws in each state and be knowledgeable about adaptations and funding options. About 80% of these individuals are occupational therapists or licensed healthcare professionals. Ensuring the individual is knowledgeable in your medical conditions and background is critical. What are some common mistakes people make regarding driving after an accident, illness, or injury? They make decisions without all of the facts. Driving options are ruled out or not considered due to lack of information. They do not discuss driving options with the appropriate professionals. An occupational therapist knowledgeable in driving or a Physical Medicine and Rehabilitation physician should be able to steer you in the right direction. They underestimate the initial cost and the long-term costs. In the case of an injury, the cost is substantial; all costs for this activity should be considered in the life care plan. They modify a vehicle without using certified mechanics, thus creating potential hazards and safety risks. They make modifications which later have to be changed, thus increasing costs in the long run. They do not obtain evaluations through certified experts. They do not use available funding options to obtain these services. Begin discussing driving issues early in the rehabilitation process. Be sure to use experienced and knowledgeable professionals. Locate a health professional with a CDRS in your state. Find someone who works exclusively in the driver rehabilitation and training field. Make sure they are extremely familiar with your diagnosis, age group, and situation. Use only certified mechanics to complete any vehicle modifications to ensure safety and avoid liability issues due to improper installation. Do not purchase a vehicle until you have completed the evaluation process and are sure you have selected an appropriate vehicle. Once an evaluation has been completed, be sure to follow all training recommendations. Driving represents an opportunity to be independent and self-sufficient. If this goal can be achieved safely, it is often a “win-win” for everyone. 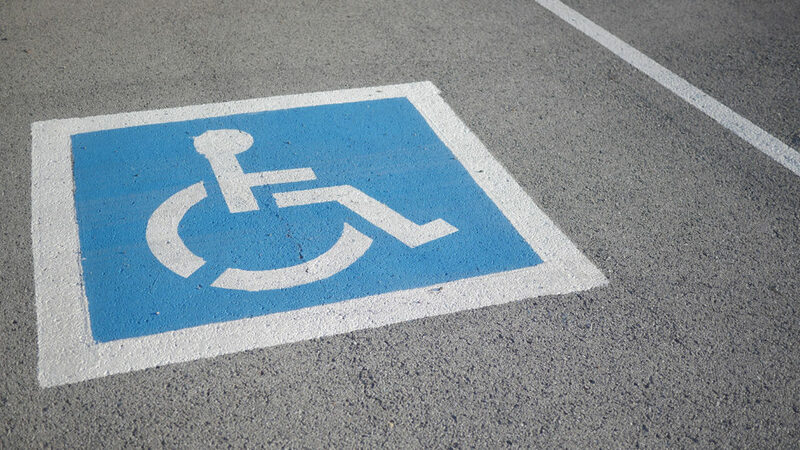 A traumatic brain injury, spinal cord injury, amputation, stroke, or other disability does not rule out the possibility of driving. Elderly and developmentally disabled individuals may also qualify for modifications or adaptations after appropriate evaluations are completed. Using a properly credentialed individual may reduce cost in the long run by streamlining the process and identifying proper equipment. Technology has improved significantly; therefore, it pays to ask questions. Funding options for equipment and training may be available. We would like to thank Tammy Phipps, OT, CDRS, for her contributions to this blog and her interest in helping us to educate our consumers, clients, and referral sources on this important topic. Tammy is a highly skilled career occupational therapist with over 14 years practical experience in many different areas of the field, including: outpatient driving rehabilitation; long-term care and inpatient acute care; ICU; medical; surgical; same-day surgery; and inpatient rehabilitation. She is also a retired Major from the United States Army Reserve and served as a mental health asset while deployed to Iraq in 2007-2008 (Operation Iraqi Freedom). Please NOTE: This article was co-written by Tammy Phipps and Advanced RM Case Management Company. Thank you to Advanced RM for permission to repost this BLOG. Original Post. https://www.driverrehabcenter.com/wp-content/uploads/2016/08/news-item-1.jpg 900 1600 Tammy Phipps /wp-content/uploads/2016/06/drce-logo.png Tammy Phipps2016-08-23 09:17:062017-03-17 11:29:05Will I Ever Be Able to Drive Again? Allow us to create the best solution for your individual mobility needs. At the Driver Rehabilitation Center of Excellence, our mission is to provide you with the highest quality individualized services, so that together we will find the best solution to meet your unique driving and community mobility needs. Our goal is to maximize your independence allowing you to reach your greatest potential.